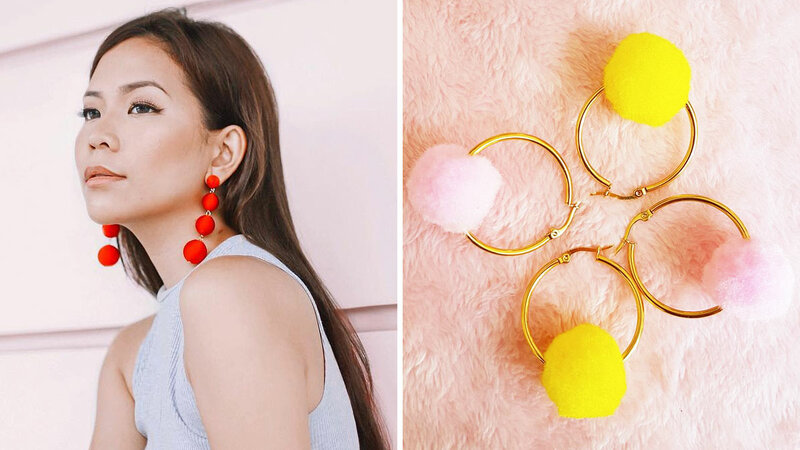 Because life's too short to wear boring earrings. Someone once said that a woman makes an outfit her own through her accessories. It’s true! Leave it to a necklace or a pair of earrings to instantly spice up any look. Scroll down and start picking a statement piece (or three) you can use to get you through the upcoming holiday madness. Their Olsen ball drop earrings are TDF! If you want something floral, tropical, and pretty. Where you can finally get that initials necklace you’ve been wanting. The brand that started this whole floral earring craze in Manila. They offer an array of earrings, but their marble collection is a must-have. They’ll cater to your fringe fancy. For earrings where wooden elements are stylishly incorporated with the latest trends. How about a personalized pendant you can give to your loved ones or BFF for birthday or Christmas? Wear your name around your neck by having one personalized for you. Finally, some street-ready pins to spice up your plain tees or denim jackets.